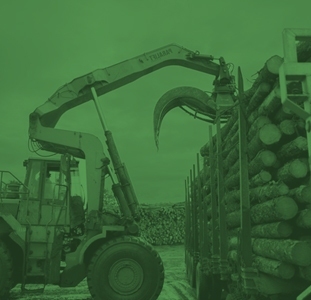 April 27, 2012 – Montréal, Québec and Vancouver, British Columbia – EACOM Timber Corporation (ETR: TSX-V) (“EACOM”, or the “Company”) announces its fourth quarter and year end results for the three and twelve-month periods ended December 31, 2011. On June 30, 2010, EACOM completed the acquisition of the Domtar forest products business, which transformed the Company from a lumber trading to a lumber manufacturing, marketing and distribution business capable of producing approximately 900 million board feet annually. The Company began operating these newly acquired assets on July 1, 2010. As a result, only eighteen months or six quarters of operations are indicative of the Company’s current activities and a comparison of the Company’s financial results for the twelve-month periods ended December 31, 2011 and 2010 respectively may not be meaningful. The comparison of the Company’s annual financial results is supplemented with a comparison of its financial results for the six-month periods ended December 31, 2011 and 2010 respectively. A comparison of the fourth quarter results against those of the same period last year is also provided. For the year ended December 31, 2011 which included four quarters of operations indicative of the Company’s current activities, the Company recorded a negative EBITDA of $26,213,000 against a negative EBITDA of $15,703,000 in 2010 with only two quarters of operations. The net loss attributable to shareholders amounted to $47,412,000 or $0.10 per common share in 2011 against a net loss of $27,344,000 or $0.11 per common share in 2010. The 2011 results include an impairment charge of $15,000,000 partially offset by a gain of $4,339,000 on the sale of the Big River mill and an immediate $2,940,000 recovery of income taxes as a result of the acquisition of the remaining one-third interest in the Elk Lake sawmill. prices for the year ended December 31, 2011 averaged US$316/Mfbm for studs and US$343/Mfbm for random lengths delivered Great Lakes, compared to US$319/Mfbm and US$341/Mfbm respectively in 2010. Mill realizations were impacted by a strengthening Canadian dollar, with the exchange rate averaging 1.011 in 2011 compared to an average of 0.971 in 2010. Lumber production for the year ended December 31, 2011 was 523 million board feet of lumber, compared to 270 million board feet in 2010. 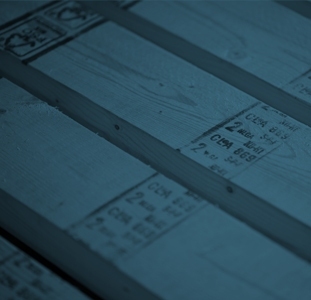 For the six-month period ended December 31, 2011, lumber production reached 238 million board feet against 270 million board feet in the same six-month period of 2010. During the six-month period, the Company operated at 48% of its capacity with two of the eight mills acquired from Domtar idled, Ear Falls in Ontario and Ste-Marie in Quebec (55% during the same period last year with no change to idled mills). Sawmills have been subject to longer market-related downtime with operations in Val-d’Or and Matagami temporarily shut down due to weak market conditions, and Gogama closed for about six weeks due to the fire at the mill site. These closures have been somewhat offset by the additional production at Elk Lake following the acquisition of the remaining one-third interest in the mill. As a result of the higher cost mills taking market-related downtime, unit costs improved compared to those experienced in the year earlier period. The Company recorded for the quarter a negative EBITDA of $8,566,000 ($6,370,000 in the fourth quarter of 2010). The net loss attributable to shareholders for the quarter amounted to $27,055,000 or $0.06 per common share ($13,724,000 or $0.03 per common share in the fourth quarter of 2010). The results for the fourth quarter of 2011 include an impairment charge of $15,000,000. For the quarter ended December 31, 2011, the Company recorded sales of $67,445,000, against sales of $65,385,000 in the fourth quarter of 2010. During the quarter, the Company shipped 159 million board feet of lumber (136 million board feet in the fourth quarter of 2010) and 129,000 oven-dried metric tons of by-products (154,000 oven-dried metric tons in the fourth quarter of 2010). This increase in lumber shipments compared to the same period last year is attributable to improving market conditions as the quarter drew to a close. Benchmark lumber prices for the quarter ended December 31, 2011 have been mixed, averaging US$304/Mfbm for studs and US$326/Mfbm for random lengths delivered Great Lakes, compared to US$296/Mfbm and US$350/Mfbm respectively in the fourth quarter of 2010. A weaker pricing environment overall was somewhat offset by a softer Canadian dollar, the exchange rate averaging 0.977 during the fourth quarter of 2011 compared to an average of 0.987 during the corresponding quarter of 2010. Lumber production for the quarter ended December 31, 2011 was 111 million board feet of lumber, compared to 140 million board feet in the fourth quarter of 2010. During the quarter, the Company operated at 45% of its capacity with two of the eight sawmills acquired from Domtar idled (57% during the same quarter last year with no change to idled mills). Sawmills have been subject to longer market-related downtime during the quarter compared to the same quarter last year with operations in Val-d’Or and Matagami temporarily shut down. its credit facility against a borrowing availability of $3,822,000 ($9,000,000 and $12,547,000 respectively at December 31, 2010). The improved liquidity position resulted from net proceeds of $32,346,000 from a private placement of the Company’s common shares in the second quarter of 2011, proceeds of $7,500,000 from the disposal of the idled mill located in Big River, Saskatchewan in the third quarter of 2011, a substantial reduction of inventories as a result of a more aggressive management of working capital combined with the temporary shutdown of operations at Val-d’Or and Matagami, and the collection of in excess of $10 million of road tax credits in the fourth quarter of 2011. Part of the net proceeds from the private placement were used to acquire the remaining one-third interest in the Elk Lake sawmill and to repay $7,000,000 of outstanding borrowings under the revolving credit facility. On April 11, 2012, the Company closed a $40 million secured debenture financing, the net proceeds of which will be used for general corporate purposes. The Debentures were issued at par, are secured by all of the assets of the Company subject only to a prior lien on the working capital assets, have a 5-year term and bear interest at a rate of 10% payable semi-annually. The Debentures contain covenants consistent with a secured borrowing. An aggregate of 200 million warrants have also been issued with a five-year term and an exercise price of $0.20 per common share. As part of the transaction, Fairfax Financial Holdings Limited is entitled to nominate two directors to EACOM’s Board of Directors. EACOM Timber Corporation is a TSX-V listed company. The business activities of EACOM consist of the manufacturing, marketing and distribution of lumber, wood chips and wood-based value-added products, and the management of forest resources. EACOM owns seven sawmills, all located in Eastern Canada, and related tenures. The mills are Timmins, Nairn Centre, Gogama, Elk Lake and Ear Falls in Ontario, and Val-d’Or and Matagami in Quebec. The mills in Ear Falls, Ontario, and Ste-Marie, Quebec, are currently idled, and operations in Val-d’Or and Matagami have been temporarily shut down due to current market conditions. EACOM also owns a remanufacturing facility in Val-d’Or, Quebec, and a 50% interest in an “I” joist plant in Sault Ste-Marie, Ontario. All statements in this news release that are not based on historical facts are “forward-looking statements”. While management has based any forward-looking statements contained herein on its current expectations, the information on which such expectations were based may change. These forward-looking statements rely on a number of assumptions concerning future events and are subject to a number of risks, uncertainties and other factors, many of which are beyond our control and could cause actual results to materially differ from such statements. Such risks, uncertainties and other factors include, but are not necessarily limited to, those set forth under “Risk Factors” in the Company’s Filing Statement dated January 8, 2010 and “Risks and Uncertainties” in the Company’s current MD&A filed with the Canadian Securities Commissions. The financial information included in this release also contains certain data that are not measures of performance under IFRS. For example, “EBITDA” is a measure used by management to assess the operating and financial performance of the Company. We believe that EBITDA is a measure often used by investors to assess a company’s operating performance. EBITDA has limitations and you should not consider this item in isolation, or as a substitute for an analysis of our results as reported under IFRS. Because of these limitations, EBITDA should not be used as a substitute for net loss or cash flows from operating activities as determined in accordance with IFRS, nor is it necessarily indicative of whether or not cash flows will be sufficient to fund our cash requirements. In addition, our definition of EBITDA may differ from that of other companies. A reconciliation of EBITDA to net loss is set forth under “OVERVIEW OF FINANCIAL RESULTS – Supplemental Information on Non-GAAP Measures” in the Company’s current MD&A.